This seems to come up fairly frequently with some 3000GT VR4 or Stealth Twin Turbo owners. Even with some of the base models too. It is usually due to one of a couple of common causes each time. So here is a introduction to the cooling system, antifreeze (in a little more detail than you thought of before) and the common things overlooked or not known by the new owner. 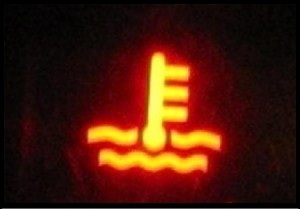 is responsible for a large amount of your engine cooling. Using a quality oil and the proper weight is important. The turbo guys have an oil cooler for a reason. Make sure the oil cooler is in decent condition so it can do it's job. Performance guys many times install a larger aftermarket oil cooler and relocate it to the front of the car rather than behind the drivers side intercooler. it is for A) to inhibit corrosion and protect the metal(s) in your cooling system B) to provide protection from freezing C) to assist in raising the boiling point of the coolant (although this is also achieved by being under pressure, more on that later). WATER is what is responsible for the absorption of heat. Water is 2 X (yes, twice) better and heat adsorption and dissipation than antifreeze. So Antifreeze actually hinders the cooling abilities of your system. But for all but dedicated race cars of special use vehicles you need the antifreeze for the properties it has. 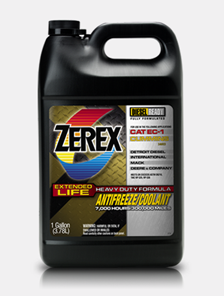 Most everyone is used to the idea of a "50/50" mix of water to antifreeze right? That is because the manufacturers set this to make sure your product will have enough to continue to provide the protection from corrosion and other harmful effects over the proposed life of the coolant. Antifreeze DOES "expire". As it does it's job to protect the metal in your cooling system is begins to get acidic. THIS IS WHY YOU NEED TO CHANGE YOUR COOLANT JUST LIKE YOUR OTHER IMPORTANT FLUIDS! 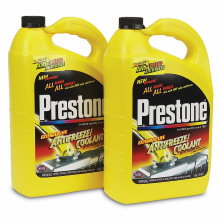 If you stay on top of your antifreeze changes (don't let it sit in there too long) then you can go with a mixture that will provide a better cooling effect. Something like a 60/40 is what I recommend as a minimum for a VR4 and many times a 70/30 is the best solution for you. The first number is the percentage of water. This mixture will still give you the corrosion protection and other protection plus provide enough boil over and freeze protection for many mild climates. What the higher percentage of water will do though is vastly improve your cooling systems ability to absorb the heat from your engine and release it in your radiator. Going from a 50/50 to a 70/30 can make such a difference that you will see the change on your temp gauge. Note: I live in the northwest USA so the winters are fairly mild. Plus I garage my cars. 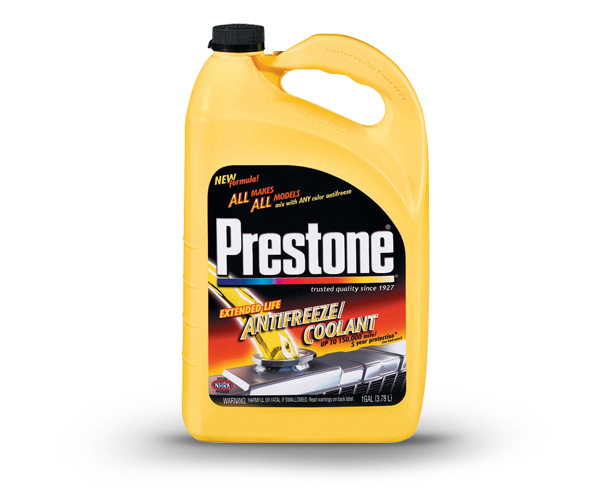 Make sure the percentage of antifreeze is sufficient to cover YOUR CAR for the winter temperatures you will experience. A frozen engine is a major disaster to say the least. Also note that you can easily have a winter mix and a summer mix. It is not that hard to change the coolant %. After all, the VR4s only carry a little over 2 gallons total. A major portion of your boil over protection is due to the fact that your cooling system is a closed system that is under pressure. Your radiator cap only releases excess coolant when the pressure exceeds approximately 15psi (and it goes into your overflow). If you ran straight water, which has a boiling point of 212F, and in a system pressurized to 15 psi your boiling point is now approximately 250F. So, YES, a bad radiator cap can cause a lot of problems as well as boil over. Never add tap water to your cooling system. Most all tap water has minerals and other things in it that are not helpful to your system. You do not want metals or minerals in your cooling system. You want pH 7.0 de-mineralized/de-ionized water. Most of the time you can get away with getting distilled water from the grocery store as a minimum. This really does make a difference in protecting your system. There are additives out there and most are just not needed. One exception however is the Redline brand "WaterWetter". It has been proven to help reduce temps and make your system more efficient. Even if your gauge doesn't show a drop there is the highest likelihood that your cylinder temps will indeed be dropped. There's much info on the internet about it so I will leave it at that but suffice to say that I believe in it and it does work. Having a low coolant system is a bigger problem than you might think. Mainly it allows air to be in your system which is very bad. Air in your coolant system allows for very noxious gases and oxidation to damage your system. Whether it be the aluminum parts, the brass radiator, or the solder in your radiator, etc. You do NOT want to let your system have air in it. Many race cars run no antifreeze at all. A lot of tracks do not allow antifreeze because it can create a huge mess on that track if leaked (and take forever to cleanup). So most run water and some corrosion protection. Pure water with a bottle of waterwetter for corrosion protection (among the other features as explained in detail on Redlines website). I could probably fill a few pages on this but let's try and simplify it. 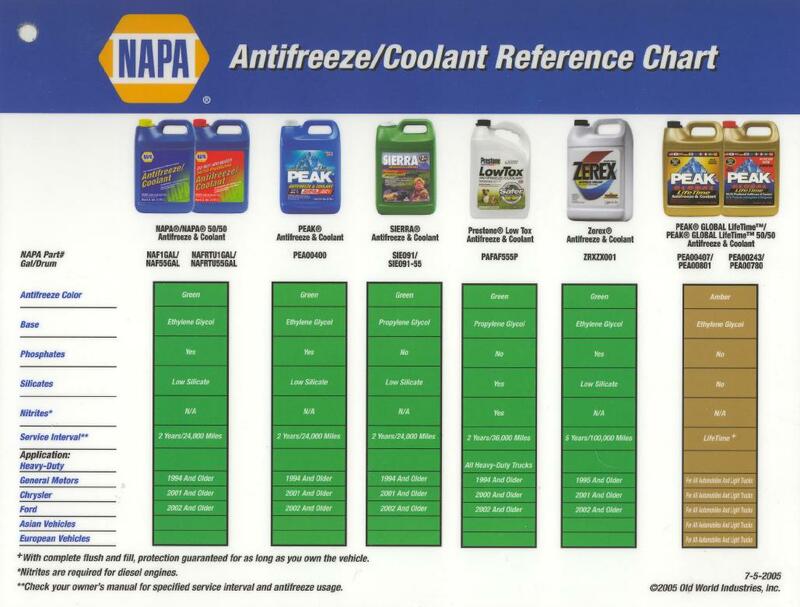 There are MANY types of antifreeze and of course the myriad of colors now (Green, yellow, pink, red, orange, blue, etc). You cannot go just by color anymore. There are basically TWO types of BASE coolants: Ethylene Glycol (the kind that most are used to, also known as EG) and Propylene Glycol (PG). The Propylene is LESS toxic that the Ethylene but be warned that both products need to be disposed of properly and kept away from children and animals. Even a SMALL amount (teaspoon) can kill an animal like a cat or dog. There is no antidote and it's a very painful way for them to die. 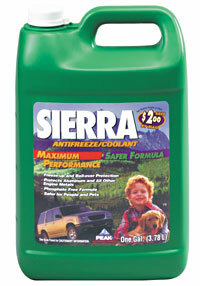 DISPOSE OF ALL ANTIFREEZE PROPERLY AND PROTECT FROM ANIMALS GETTING TO IT! EVEN A SMALL SPILL OR AMOUNT! And ignore those "non-toxic" claims of the propylene styles. It is not as poisonous as the ethylene but it is still something you need to store and dispose of properly. Seriously, do not take the leaking, dumping, storing or anything else with antifreeze lightly. It is a fairly hazardous material. So those are the two base formulas. 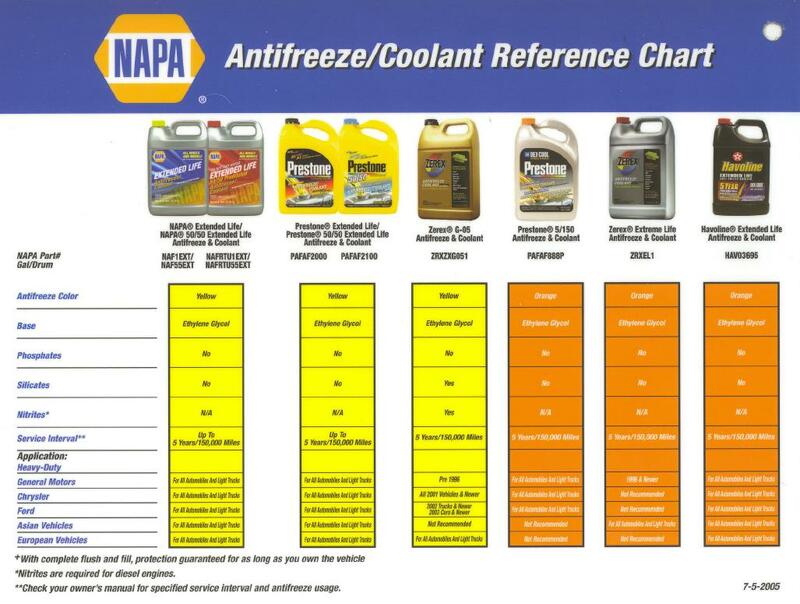 Those with the basic silicates and phosphates are called "conventional" antifreeze or "original formula". There are now also the extra additives that create the specialized formulas we are now seeing out there in the market. Each car manufacturer specifies for their own vehicles based on the materials in the engine cooling system and radiator (aluminum now more prevalent that before) and also important to gaskets, seals and many other in depth reasons. It is all based on their own research and development. So you have things like DexCool that GM specifies (orange), then there's things like the pink Hybrid type from Toyota, and the list goes on. There are OAT (Organic Acid Technology) and then the Hybrid of those (HOAT) plus the Extended Life types that are on the market. 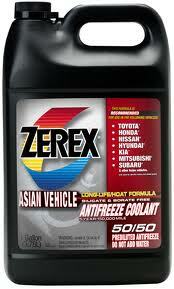 Zerex even has a NEW antifreeze just for "Asian Vehicles" (no kidding, that is what the label says - Asian Vehicles). It is specified different than many others. Many european mixes (like the G-05 stuff) is for their hard water and no silicates or phosphates. But the "asian" manufactures prefer the phosphates and believe it helps with anti-corrosion. It's best to not mix types of antifreeze. Try and stay with just ONE type or at least one style (ex: OAT type rather than Conventional, etc). 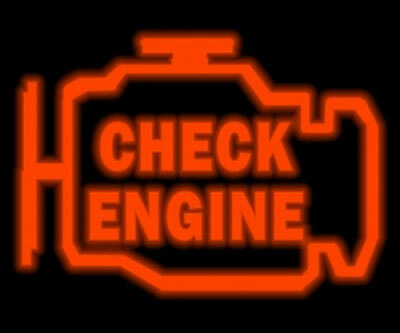 And remember, it never hurts to change that old antifreeze if in doubt! You can use the new "asian formula" from Zerex or the conventional/original type (either EG or PG) or the newer long life stuff from Prestone (the yellow). Do not use the DexCool or the G05 in your VR4 (or any 3S). 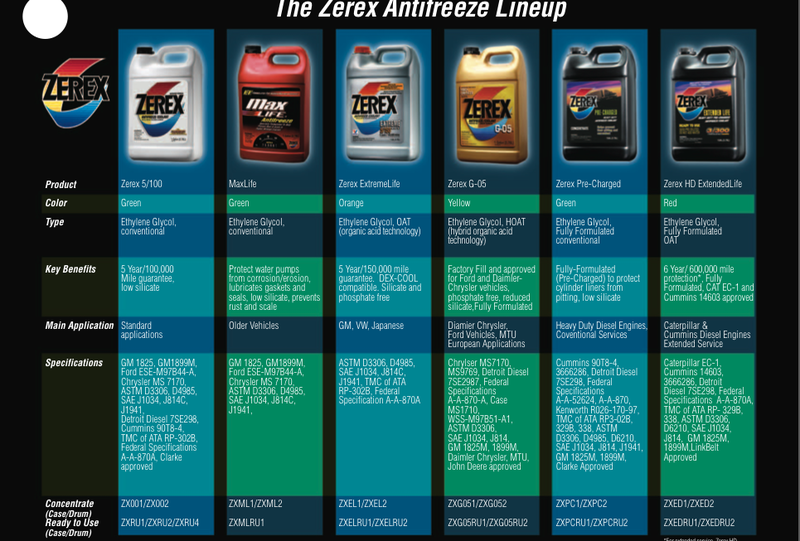 Here's a couple of charts from Zerex (made by Valvoline) and some NAPA charts. These are basic and more in depth information is available at the manufacturers websites. Click the image(s) to open them in larger size in a new window. Not all antifreezes are shown in these charts. The Zerex Asian Formula for example is very new. There's really no "one type works for all". Heck, I have to have several types on my shop shelf. MaxLife Conventional I use for my John Deere tractor, Dexcool for my GMC Yukon, Toyota pink longlife for my daughters FJCruiser, Asian or Longlife Prestone yellow for my 95 VR4. Engine Ice or Supercool for the smaller engines. I use Redline WaterWetter in all of them. In the drag race car VR4 I use only distilled water with 1 bottle of waterwetter (or 5 jugs of supercool by redline). OK, that's a basic on antifreezes. It can get very complicated in a hurry because of so many formulas out there. Lots of info out there for those of you that want more detailed chemistry and information. There are anywhere from 4-6 different types at your local auto parts store. Make sure you know which is which and use the right type as well as not mix them together. So there's some things that are important to keep in mind.